This is the second post in a series to dig deeper intothe relationship between literacy and documenting learning. HOW does documenting learning have an effects on awareness, skills and developing habits around the so called 21st century “Now” literacies. 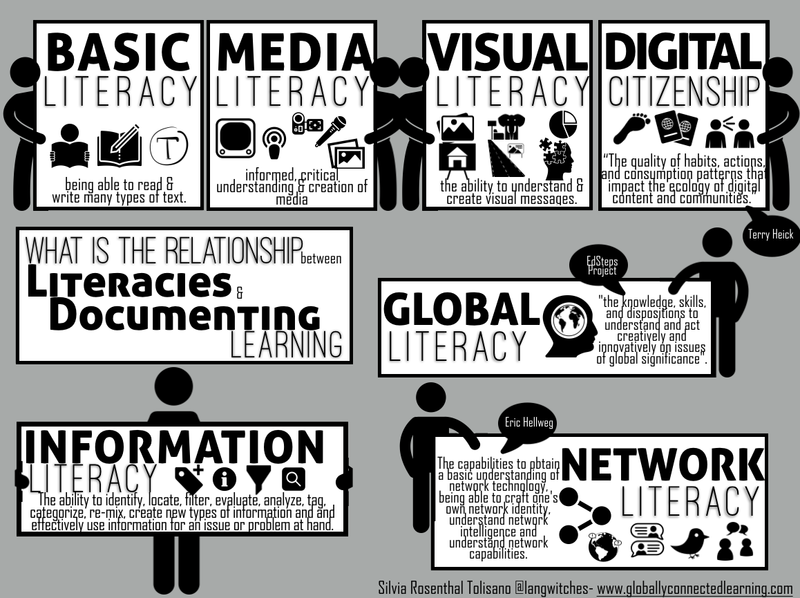 Media Literacy- Media literacy is an informed, critical understanding of the mass media. 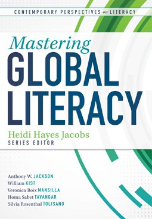 It is a repertoire of competencies that enable people to analyze, evaluate, and create messages in a wide variety of media modes, genres, and formats. Media can be in form of text, images, video, audio or a mixture of any thereof. Visual Literacy, specifically, deals with visual media and is based on the idea that visual images can be read. Visual literacy can be defined as the ability to understand and create VISUAL messages. It is the ability to interpret, negotiate, and make meaning from information presented in the form of an image. Graphic design principles and processes are important to pedagogical documentation, along with an understanding of visual literacy—how the human eye reads images and how people interpret those images. Also helpful is awareness of the ways that combining text and image, or text and audio, or video and still image can convey information effectively. A grasp of how digital technologies can be used in visual design may also be applied to documentation. While using a documentation workflow of looking for learning, capturing learning, reflecting on learning, sharing learning and amplifying learning, we realize that media and visual literacy play a critical role in all of the phases. Visual is defined as something you look at. When we look for learning, we are trying to “see” learning. Learning is intangible. We can’t reach out and touch it. We have to be able to interpret what we see, analyze what we see with our eyes or artifacts that visually represent the concept of learning. We might even have to create a mental image of what we would accept as evidence of learning when we start to look for learning. What would learning look like? Would I recognize learning when I see it? How can a “frozen” image (or series of images) represent something that can’t be touched? How can a video clip become part of evidence of a learning process? How can I be aware /lookout for a lack/absence of learning? How would that manifest itself? Capturing is about recording or expressing what our senses perceive in words (media literacy) or pictures (media & visual literacy). How do we express learning that occurred, which is, as mentioned above, intangible? The act of trying to capture learning in words and pictures, requires an the competencies outlined in the definition of Media & Visual literacies above. Documenting learning is about capturing the invisible and make it visible so others can see it too (they might not have been paying attention or were not present physically) or understand. Sometimes, documentation can point out learning (patterns, trends, unconscious levels) that otherwise would be missed through the process of capturing. How could I make learning & thinking visible? How can I capture a lack/absence of learning? How could a process in time be captured in strategic short shots? What media is best suited to communicate and convey my message? How can I mix media to best communicate learning? What techniques of capturing media will I use? Capturing a moment in time with text and/or visually, takes on a form of a snapshot that we then interpret and reflect upon in order to distinguish it from mere reproduction or facts or mere display of what happened. Media & Visual literacy is not only about creating media, but about interpreting, analyzing, evaluating and make meaning of the media that was captured. Does the media that I captured demonstrate evidence or lack of learning? What media can be shared (considering digital citizenship)? Which media will help convey my message? How do I connect related or contrast captured media? What media do I keep? What media gets cut/deleted? How do I have to edit the media to make it appealing to view for others? How does the media that was captured influence what I believed I experienced? Did what was captured inform what I will look for /pay attention to next? It is one thing, when we look for learning, capture learning and then reflect on learning for ourselves. Sharing learning with others, adds a completely different dimension to documenting our learning or the learning of our students. When we share, we create documentation with an intended audience it mind. We need to be aware, if we share with parents, professionals, other students, community members or with a global audience. We are charged to communicate what we have seen, heard, felt, thought and ultimately learned with others. Preparing media to be “shareable” and to communicate a message of learning requires technology skills as well as a mindset of the morale imperative of sharing. 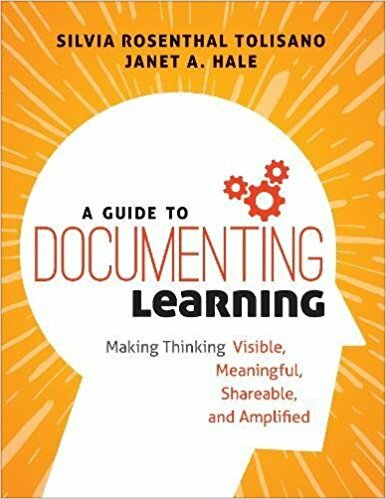 Why would I share my documentation of learning? What message do I want to share with a potential audience? Do I want to reassure, influence or convince my audience? How do I present my documentation in order to receive feedback around my learning? Where do I upload my media to be able to share with others? How do I prepare the media to make it easily sharable? How does my shared documentation of MY ( or my students’) learning become a source of learning for others? There are different degrees of amplifying learning, from taking the first step of getting your learning outside of your head and writing it down to sharing with a trusted colleague or friend to sharing with thousands of strangers via social media. Each degree of amplification can have its own intentions and considerations.We use different platforms to communicate our message depending on the amplification degree. How can I best disseminate my documentation of learning to reach a strategic audience? What types of media are best suited for specific platforms of dissemination? How do I prepare my message to stand out and be seen by a variety of people? What are the best ways to prepare my media (and ultimately my message) to be re-shared, liked, re-mixed, re-tweeted?